It won’t be long before we get the 2015 Honda Fit in Dayton, OH. The efficient and powerful subcompact car is set to arrive at dealerships such as Matt Castrucci Honda this spring, and as the 2015 Honda Fit is coming soon, we thought it would be helpful to take a look at what the all-new Fit will contain. The Honda Fit has been completely redesigned for the 2015 model year, and we can assure you that you haven’t seen anything quite like this model. The aerodynamic body has been completely restructured, and will be built from high-tensile steel which is expected to provide some of the highest safety ratings of any car in the subcompact segment. The lights on both the front and back end have been upgraded to give the Fit a whole new look, and the front grille has also been reimagined. 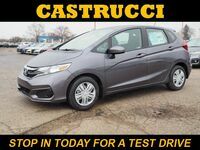 We can assure you that when we get the 2015 Honda Fit in Dayton, OH, it’s going to be one of the hottest looking vehicles on our lot. 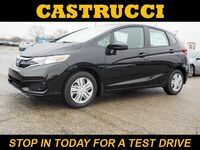 Interested in a 2015 Honda Fit? The 2015 Honda Fit will be just as capable and versatile as it has been in the past, and that claim is backed by the fact that the 2015 model will be receiving some additional space in the passenger area. The cargo area has been decreased to provide passengers in the rear with more legroom, and with the addition of the Honda-exclusive Magic Seat® that cargo space will be just as large as it has been in the past. With the rear seatback collapsed the Fit will offer 52.7 cubic feet of cargo space. As expected, the 2015 Honda Fit will be powered by Honda’s i-VTEC® engine which will be equipped with Honda’s Earth Dreams Technology. The engine will produce an output of 130 horsepower and will be mated to a six-speed manual transmission. A continuously variable transmission will also be made available to provide additional fuel efficiency. As we said, it won’t be long before spring arrives and we get the 2015 Honda Fit in Dayton, OH. 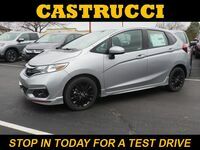 If you’re interested in finding out more about the all-new Honda Fit, or would like to secure one of the subcompacts for yourself by reserving one, be sure to get in touch with us at Matt Castrucci Honda. Once the 2015 Honda Fit arrives, you will be able to take it for a test drive, so be sure to check back on our site a little later this spring if you want to experience all that the new Fit has to offer. Here at Matt Castrucci Honda, we can help you to become one of the first to own the 2015 Honda Fit in Dayton, OH.